A Saft space battery pack comprised of VES180SA space cells. Credit: SpaceNews. BALTIMORE, Maryland — When orders for geostationary satellites are down, it’s not only the well-known satellite manufacturers that suffer — so do their suppliers. For Saft, the French battery maker with space battery production in Poitiers, France and Cockeysville, Maryland, the lengthy production time for spacecraft batteries has insulated the company from much near-term impact. But the company is closely following the market for a rebound. The Satellite Industry Association in its annual “State of the Satellite Industry Report” released July 12, counted 17 commercial GEO telecom satellite orders last year (a repeat of 2015), down from an average that’s closer to 20. Space and Defense comprises 10 to 15 percent of Saft’s overall business; it is the company’s smallest division. Around three quarters of the units produced for space go to power satellites, while the rest are for Europe’s Ariane 5 and Vega launch vehicles. 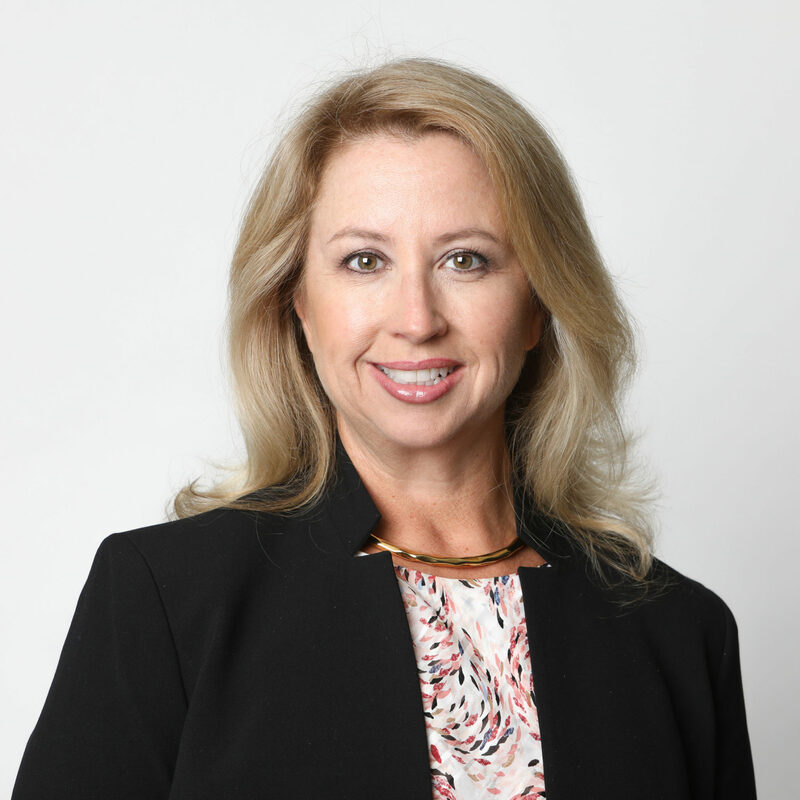 Annie Sennet, executive vice president of Space and Defense at Saft. Credit: Saft. 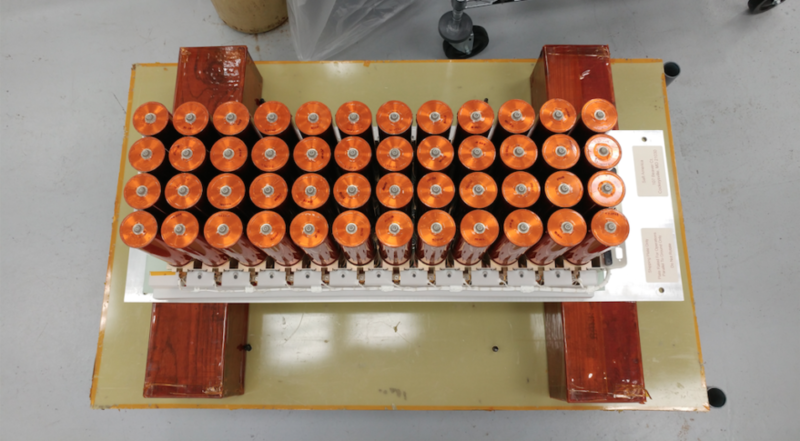 The high price tag of space-capable batteries, which undergo months of intense testing and inspection before use, makes up for the low volume of business. Saft provides batteries to most of the world’s satellite manufacturers, including Boeing, Lockheed Martin, Airbus, Thales Alenia Space, Northrop Grumman and Ball Aerospace, but the list of market prospects is small. Sennet said Saft’s niche in specialized, high-reliability batteries means new low-Earth orbit constellations are iffy prospects for new business. Reusable rockets, which are not on the immediate horizon for Europe but are being actively studied, could alter the demand for high power “primary,” or single-use batteries. Sennet spoke to SpaceNews about the business of keeping the lights on in space. In the satellite telecom world, GEO orders have been low the past two years. How has that affected Saft? What Saft usually is very lucky about is the fact that we have two factories on both sides of the ocean. We have tight relationships and often long-term agreements with the primes on both sides of the ocean. We are pretty evenly dispersed for the business. If Intelsat decides to give four satellites to Airbus [for example], that’s great for us even though Boeing may have lost. And vice versa. We also have some of the China Telecom satellites and others in India, Russia and elsewhere. Those are more based on government funding. We have seen a decrease in orders, but not in sales because we are still working on backlog. So that is why we are looking at enhancing other offers on prismatic batteries or new constellations and businesses. Saft builds batteries for most of the satellite manufacturers in the U.S. and Europe. What does the competitive landscape look like for Saft? The satellite battery industry is not huge, so there are really only three or four main competitors that go after business. Some go after the smaller, cheaper types of satellites for short term or LEO missions; others go for the GEO market for large telecom satellites, military satellites, and some big LEO observation satellites. Everyone has their place. Defense technology often spurs a desire by countries to have domestic production capabilities of their own. Do you encounter that with batteries? Rarely. We do a lot of work in India out of the Porteire facility, and they want to do some of the assembly themselves on a lot of fronts. For all different types of applications, India always wants to have a national-specific interest. So we work with them, but for the most part a satellite battery is something that is very specific, so it takes anybody, including a customer or a foreign entity, a lot of time to be able to learn, qualify and replicate a satellite battery. The return on investment, unless you are in the business, it’s not necessarily there. The reason we lump space with aircraft and defense is because it is very driven by customer specifications, and there are military standards. On a NASA program there are 200 NASA standards behind that, and the same thing with ESA. It is the same concept. Does the Indian Space Research Organisation buy Saft batteries? Yes, they have bought from us for years. One of the first contracts I ever worked on was for ISRO for Nickel-Cadmium batteries. I went there and negotiated several nickel hydrogen satellites and now we are on lithium-ion with them. They are a long-term, cherished customer of Saft. They have bought varying degrees of assembly. Sometimes they do the assembly. Sometimes they want to do the test, but as far as the meat of it, the cells of the battery, they buy those from us. Local Indian press has reported ISRO sharing battery technology with the automotive sector for electric vehicles. Is that something Saft is involved in? No. ISRO has some other types of small batteries that they make. In a world with reusable rockets, which for Europe could be in 15 years or so, what does that look like for Saft? Do batteries become part of that reusable architecture? It depends where they put the batteries. There are batteries all over a launch vehicle on every stage. Some of that is reusable and some of it is not. For the part that is reusable, that would mean we have reusable batteries. I personally don’t like reusable batteries because that means they don’t buy them again, but I do like watching the landing videos. The batteries do go through some serious mechanical dynamic loads during launch and separation, but as long as that gets proved out, it is very exciting. Right now we are not working on any programs for reusable rockets. Would you envision any major changes to make the batteries reusable? For some cases they would have to buy a rechargeable battery instead of a primary. On a launch vehicle there are several primary batteries that by definition would not be reusable, so they would have to switch to a rechargeable battery. Sometimes that is hard to do because the reason for using a primary battery is that primary batteries can be very powerful and only have to work once. You would have to find a rechargeable solution that can have as much power, and that’s not always the case. There are now two companies building satellite servicing vehicles (Orbital ATK and SSL). In a world also 10 to 15 years from now where satellite servicing might be a normal thing, what does that look like for batteries? I have to say I have never contemplated that question. My gut is that today batteries can last for the duration that they are needed. Just to have them replaced, to me, that is no different. We just supply another battery. Now if what happens is they want to replace it earlier, and perhaps have a less robust battery, then there could be changes. You would have to go backwards in quality, and it would be an interesting thing because I’ve never seen that happen where an industry goes backwards in quality. What are some research and development programs Saft is working on related to space? We have a program going on using more current materials to increase the specific energy, or gravimetric energy — it’s how much power you have per kilogram, whereas the volumetric energy is how much energy you have per liter. The volumetric change from cylindrical to prismatic is pretty mathematical. For gravimetric, we have programs to increase the specific energy by almost [a factor of] two, and that’s by choosing different materials for the most part. What are your timelines for bringing gravimetrically enhanced and prismatic batteries to the market? We have one program for a next generation cell that uses more current materials, and that’s going to qualification now. For the one that increases the specific energy, that’s within two years. The prismatic is less than a year. We already have the prismatic, we are just enhancing what we have to make it more producible. Things that go beyond that are looking at different materials like lithium-titanate or manganese-phosphate. Those are longer because we have to demonstrate a lot of the cycle-life, so that is maybe three to five years. Do the new LEO telecom systems present an opportunity for Saft? They do, but we have to figure out at what level. There are some programs where it just doesn’t look attractive or appropriate for us, and others that are very interesting and exciting. We are on the Iridium Next program, so that’s one where there are 81 satellites and we make the batteries. That is a slightly different approach; it’s not quite the same as the [Geostationary Operational Environmental Satellite] GOES-batteries. They are smaller and less expensive, but they still have a high degree of qualification and design and validation behind them. When you get down to somebody who is going to count all their redundancy on the satellite-level and the parts don’t have to be as robust because they are going to have extra satellites on orbit versus extra robustness and qualification in the parts they buy — if you get down to a $1,000 satellite battery, that may not necessarily be our cup of tea. But we evaluate those on a case-by-case basis.